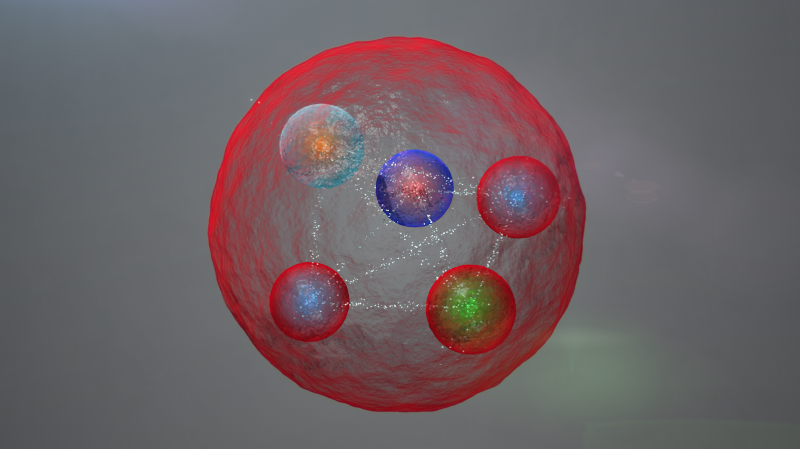 Today, the LHCb experiment at CERN's Large Hadron Collider has reported the discovery of a class of particles known as pentaquarks. The collaboration has submitted a paper reporting these findings to the journal Physical Review Letters. 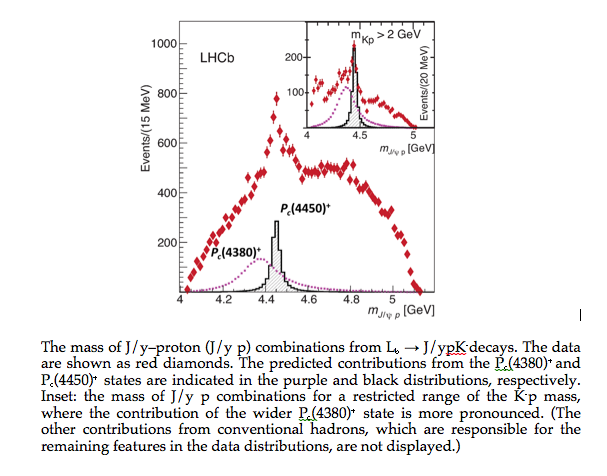 LHCb researchers looked for pentaquark states by examining the decay of a baryon known as Λb (Lambda b) into three other particles, a J/ѱ (J-psi), a proton and a charged kaon. Studying the spectrum of masses of the J/ѱ and the proton revealed that intermediate states were sometimes involved in their production. These have been named Pc(4450)+ and Pc(4380)+, the former being clearly visible as a peak in the data, with the latter being required to describe the data fully. LOLOLOLOLOL pentaquarks. Oh good one. 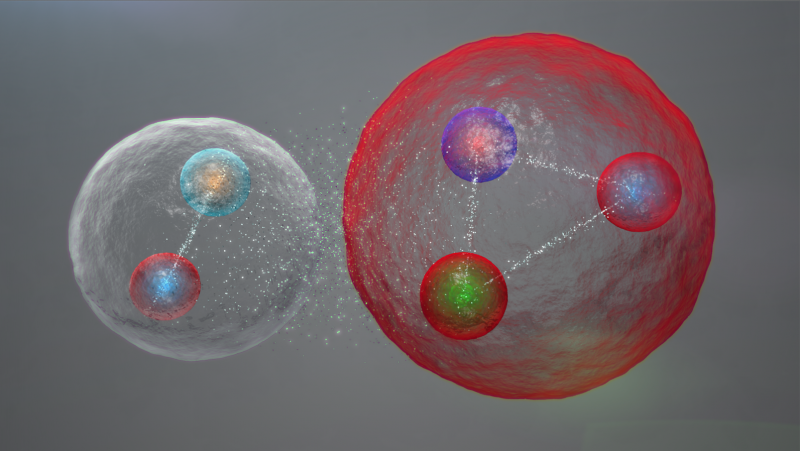 Although a layman I have always thought that in this type of experiment one might see all sorts momentary combinations but is it legitimate to call them 'new particles' (in comparison to p+ etc)?